We went to Akasaka Hikawa shrine last weekend as hatsumode (new year’s visit to a shrine). This shrine is where we held our wedding ceremony. Though located in the busy area of Tokyo, it’s very calm and we love it. 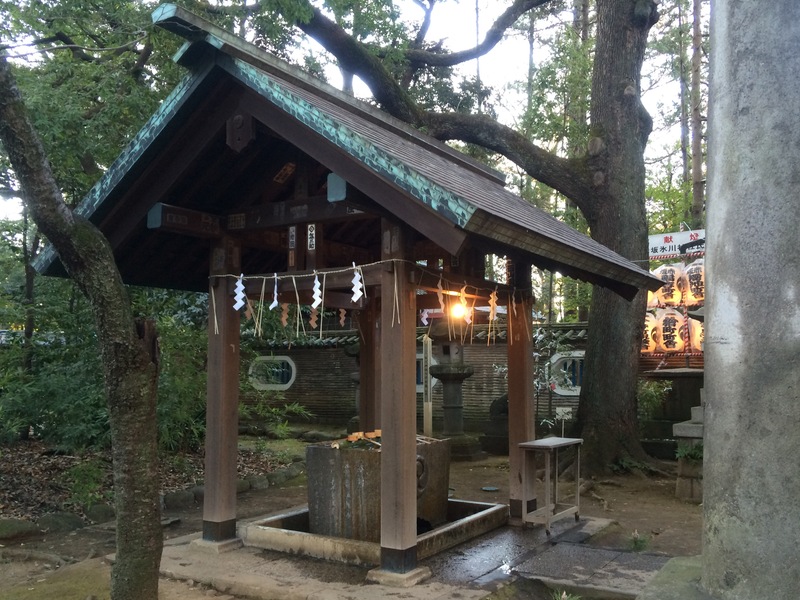 Temizuya (or chozuya) to wash hands and mouth for purification. 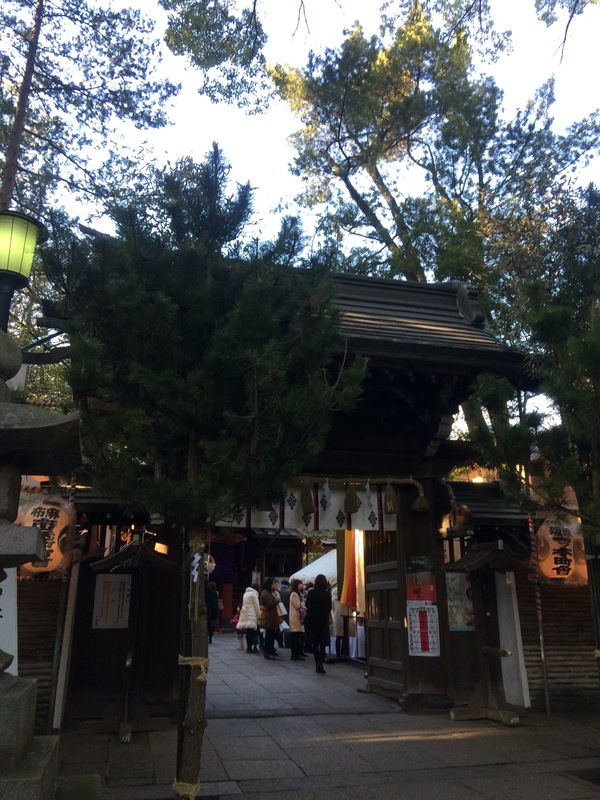 The gate of the shrine was decorated with two big pine branches. 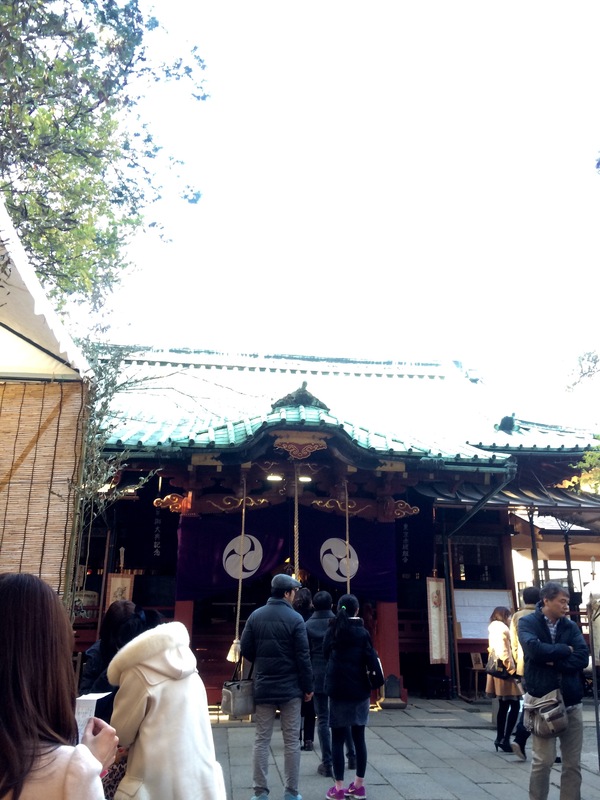 Although it was already January 10th, the shrine was crowded. After praying and getting ofuda (amulets) and omamori (good luck charms), we drew omikuji (randome fortunes). 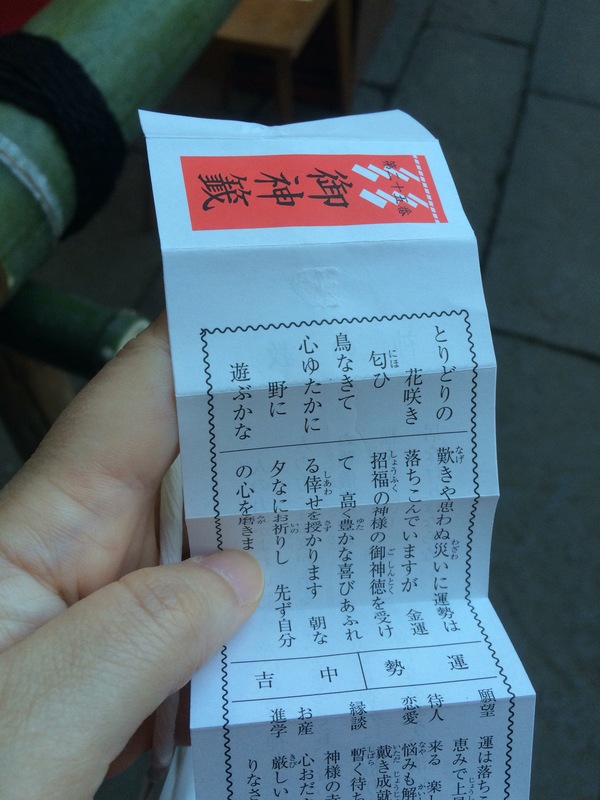 My luck this year was “Chukichi (middle blessing)”. Well, it’s not bad! I liked the advice written there. 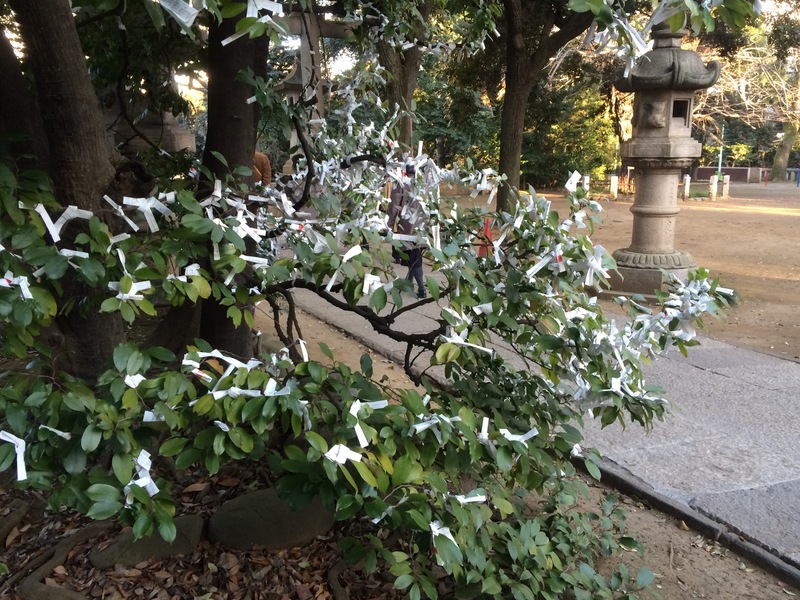 Some people whose omikuji’s result was not good tie it to a branch of trees in the shrine precinct. We kept ours with us. Amazingly, ume blossoms, a herald of spring were blooming already. My husband and I were spending new year’s holidays at his parent’s home in Okinoerabu island, one of the Amami islands located between Kagoshima and Okinawa. These islands have unique cultures. When I was married, I was shocked to know how it was different from where I had grown, and he must have felt the same way too. It’s one of such differences that they don’t eat osechi in new year’s holidays. Instead, they have their own style of new year’s dishes called sangon-ryori (三献料理). According to some books and websites, it consists of three dishes. The first one is soup. Next sashimi follows (at his parent’s home, after this soup, grilled chicken and macaloni salad were served instead of sashimi). At last, different soup from the first dish (it depends on the areas and homes – at his place, miso soup with chicken and a wax gourda white gourd) is served. This picture is the first soup my mother-in-law made. In clear soup, five or seven (considered to be lucky numbers) different ingredients are to be added. 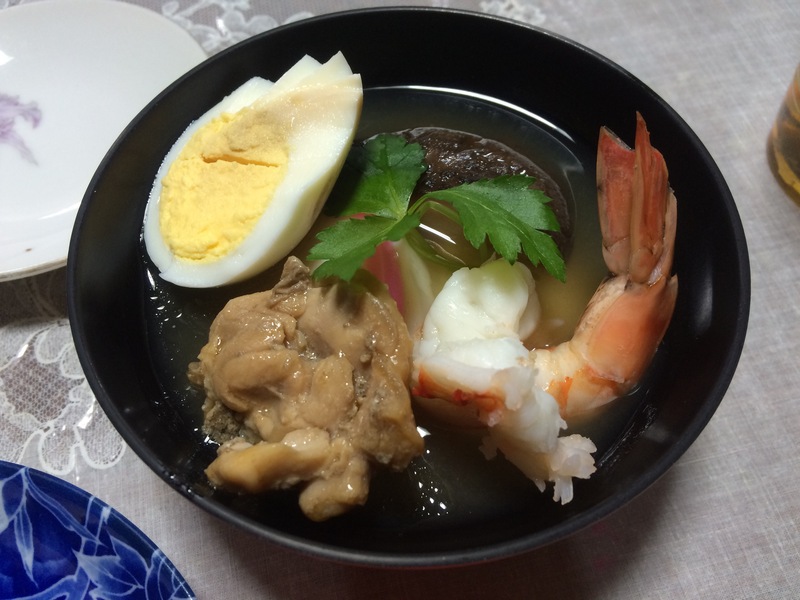 Ingredients: broth (water, dried kelp, dried shiitake, dried bonito, salt and light colored soy sauce), round shaped mochi, boiled shrimps, cooked chicken (flavored with soy sauce and sugar), kamaboko (fish cake), boiled eggs and mitsuba. Cook shiitake and chicken. Boil them in water flavored with soy sauce and sugar. Peel, clean shrimps and boil. Make boiled eggs and cut them in halves. Prepare mitsuba. Cut and make a knot in the middle. Put mochi in the bottom of the bowl and place the ingredients prepared in the processes (2)-(6). Then gently pour the broth.